Decorate your yard with spirited panache! Flags can be seen from afar - they're over 8-1/2' tall! Weather-resistant nylon; Decorate your yard with spirit. Decorate your yard with spirited panache! Flags can be seen from afar - they're over 8-1/2' tall! 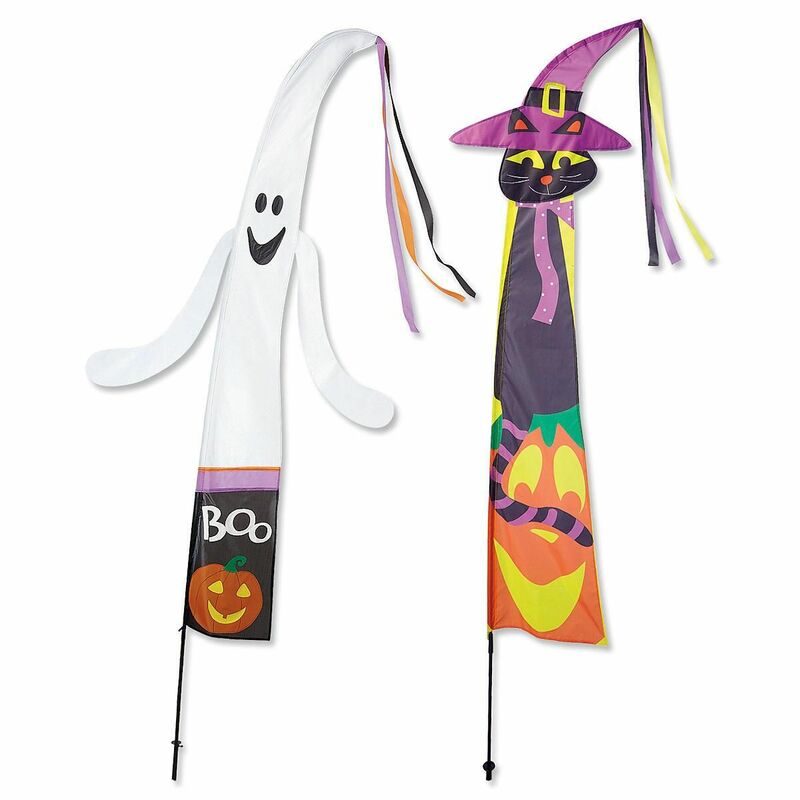 Weather-resistant nylon; Decorate your yard with spirit. 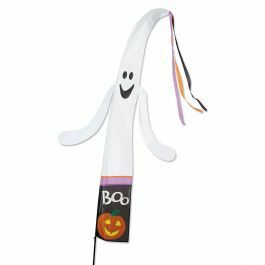 Cat is polyester with fiberglass stake; ghost is nylon with plastic pole. 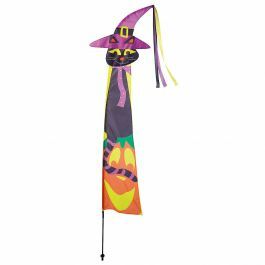 Super-sized Halloween flags can be seen from afar. Flag stands over 8-1/2" feet tall and features attached streamers! 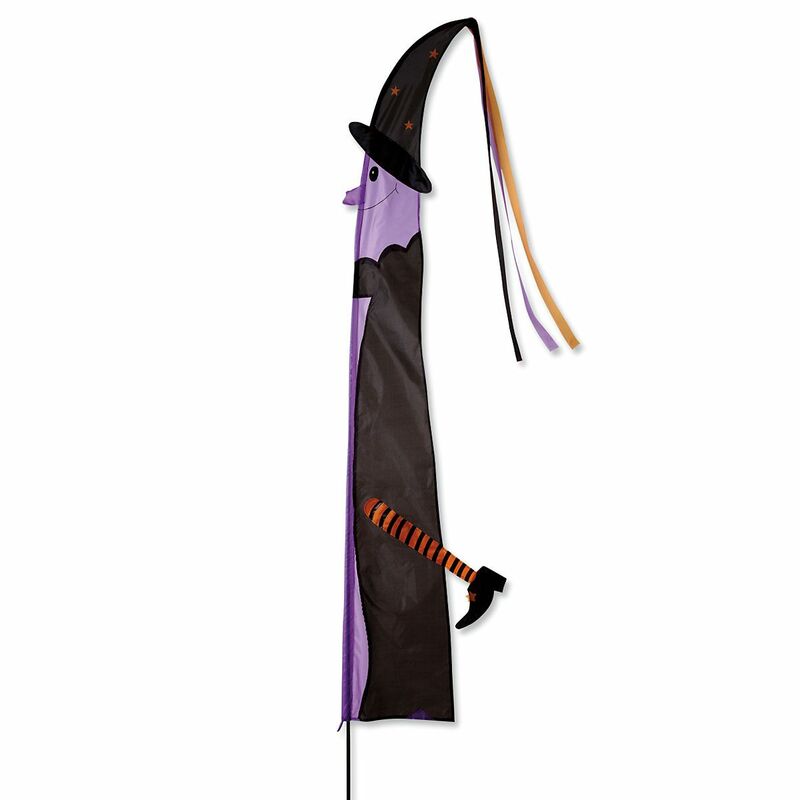 Weather-resistant nylon; easy-to-assemble hard plastic pole with garden stake included. A spellbinding way to help guests find your party! Decorate your yard with spirited panache! Flags can be seen from afar - they're over 8-1/2' tall! Weather-resistant nylon; easy-to-assemble plastic pole included with each.